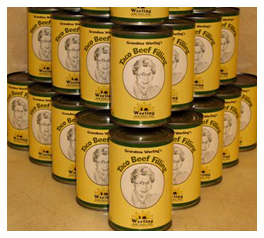 THESE ARE PREMIUM CANNED MEATS! TRULY A HIGH-QUALITY PRODUCT! No fillers, no additives, no preservatives, no artificial colors added. 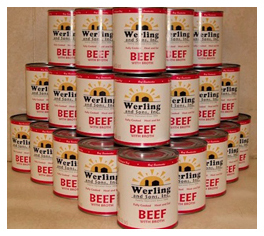 All meats are canned in their own broths. BEST OF ALL: These meats will last on your shelf from 15–20 years! How? 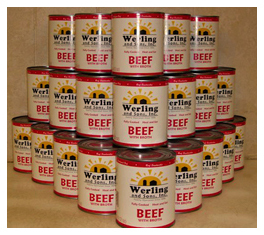 They are canned in extra-thick cans with double-welded seals. 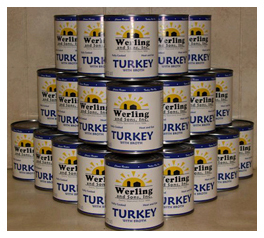 These cans are coated inside and out to guarantee optimum preservation. Chicken is all white meat. 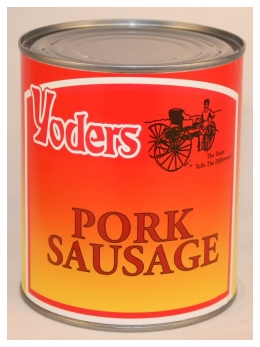 The Pork Sausage is very high quality with no little white pieces of gristle that are commonly found in other pork sausage. 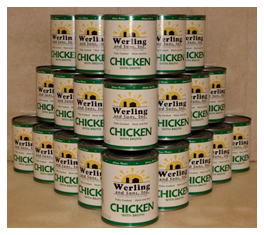 In short, this is really great stuff to have in your food storage! *I guess they had to add a teeny amount of TVP as a binding agent—it's better than a chemical additive! This is a great new product on the market! 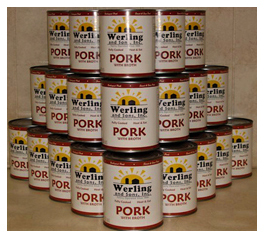 REAL BACON, precooked, in a can, with a shelf life of 10–15 years! "Fully Cooked, Ready to Eat, 12 Cans per case, 40 to 50 slices per can (that's about 40 lbs of precooked bacon per case)"
"For the first time in almost 20 years, canned bacon is back in this country. Not available in any store!" 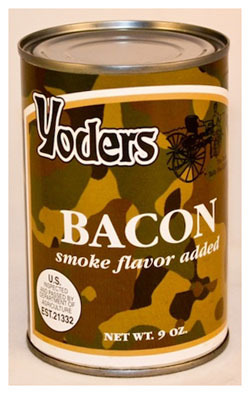 "Each can is 9 ounces of fully cooked and drained bacon. Between 2-3/4 and 3-1/4 pounds of raw bacon go into each can. Each can is the highest quality fresh #1 bacon slices. Cured to our specifications, cooked and then hand wrapped, rolled and packed in the U.S."
"We cook this bacon down for you prior to canning, so you won't pay for all of the natural shrinkage that occurs whenever you cook bacon. Then we carefully drain all of the fat and liquid off and can it fresh so it will taste as good out of the can as it would right out of the refrigerator." "With a shelf life in excess of 10 years, this bacon makes a perfect addition to your food storage program, and it is great for everyday use. Take some with you when you go camping, hiking or hunting; keep a case in the boat, RV, cabin or anywhere that you may need to prepare a meal but don't have refrigeration!!" "This is an amazing product! The first 600 cases sold in a matter of 2 hours!"